Not on the tour: The buried history of 110 Church St. The tour carriage clops its way up Church Street toward the stoplight at Broad. Pulling to a stop for a red light, the guide ignores No. 110. It is, after all, an unprepossessing site – a three-story, putty-gray-stuccoed building with no doric columns, carved arches or scrolled ironwork to ornament the guide's architectural patter. The guide instead directs his passengers' attention to the faded mural on the corner building next to No. 110. 110 Church St. Credit: Google Maps. "What do you see?" he asks the passengers. "A man wearing a hat," two give the obvious answer. "He's got an umbrella, too," says a third. "That's right," says the guide about the pre-Dr. Seuss image. "There used to be a hatter there in the 19th century. It's now a store that sells party goods. But the city's zoning ordinance says the owner has to maintain the caricature. It's part of Charleston's living history. 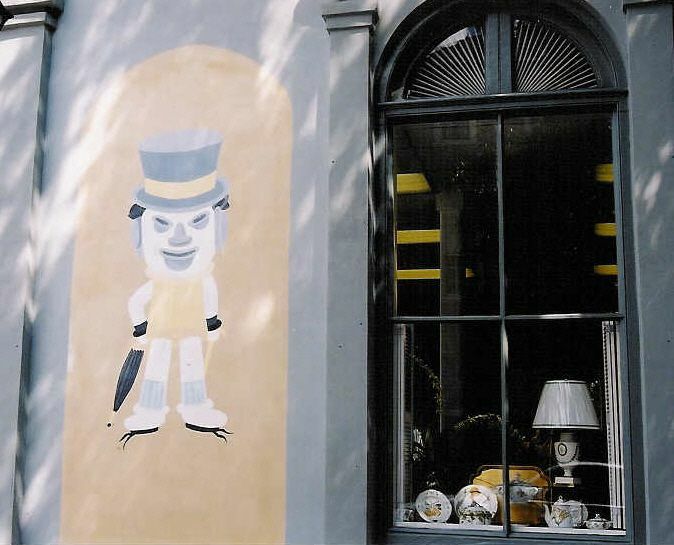 We call it the 'Hat Man' mural." For all its blandness today, No. 110's past is notorious. In the antebellum period, it occupied a prominent entry in abolitionist Theodore Dwight Weld's “American Slavery as It Is: Testimony of a Thousand Witnesses," which was published in 1839 and was influential enough to be an inspiration for Harriet Beecher Stowe's "Uncle Tom's Cabin." “In the Charleston (South Carolina) Mercury of October 12, 1838, we find an advertisement of half a column, by a Dr. T. Stillman, setting forth the merits of another 'Medical Infirmary,' under his own special supervision, at No. 110 Church street, Charleston. The doctor, after inveighing loudly against 'men totally ignorant of medical science,' who flood the country with quack nostrums backed up by 'fabricated proofs of miraculous cures,' proceeds to enumerate the diseases to which his 'Infirmary' is open, and to which his practice will be mainly confined. Appreciating the importance of 'interesting cases,' as a stock in trade, on which to commence his experiments, he copies the example of the medical professors, and advertises for them. But, either from a keener sense of justice, or more generosity, or greater confidence in his skill, or for some other reason, he proposes to buy up an assortment of damaged negroes, given over, as incurable, by others, and to make such his 'interesting cases,' instead of experimenting on those who are the 'property' of others. Up Church Street, the tour carriage is approaching St. Philip's Church. It's time for history that's not so deeply buried as No. 110's. The guide asks his passengers, "Do you know the difference between a cemetery and a graveyard.? On your right is a graveyard..."